The recognition for women in STEAM (science, technology, engineering, arts and maths) has, historically, been less than brilliant. Ada Lovelace Day is an opportunity for us to celebrate, acknowledge and examine our attitudes towards the incredible work women in STEM do, and their contribution to the fields that sees us where we are today as we enjoy a technological revolution. Ada, if you didn’t know, was the first computer programmer. She published the first algorithm intended to be carried out by a computer, working with Charles Babbage on the theoretical ‘Analytical Engine’ she is regarded as the first to recognise the full potential of the machine. Essentially, Ada Lovelace was the forebearer for all the work we do today with computers. She did this, as you may have guessed – before computers existed. We’ve put together a video from one of the many events across the cluster on 9 October celebrating ADL2018, a panel discussion on women in tech chaired by Marina Traversari (Oracle Global Startup Ecosystem) and featuring Zara Nanu (Gapsquare), Diane Douglas (Vigiles Group) and Laura Lafave (OnCorps). The event was hosted by Engine Shed and supported by SETSquared. 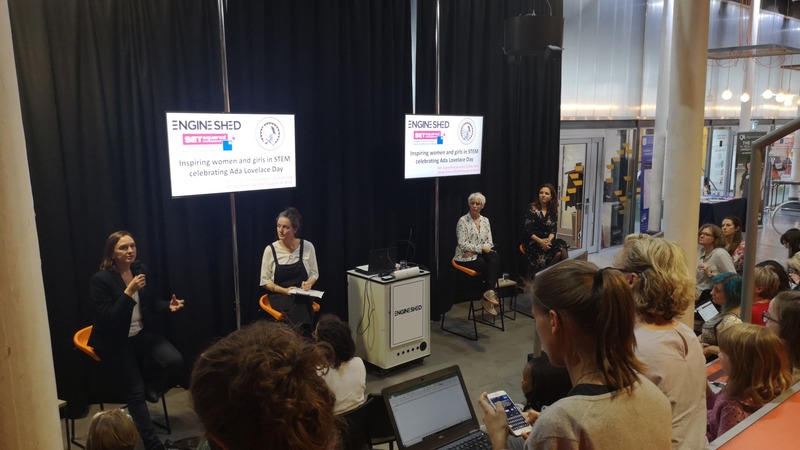 We also talked to a few more of the exceptional role-models from our cluster on the importance of Ada Lovelace Day and the advice they’d give to young women and girls looking to work in STEAM.